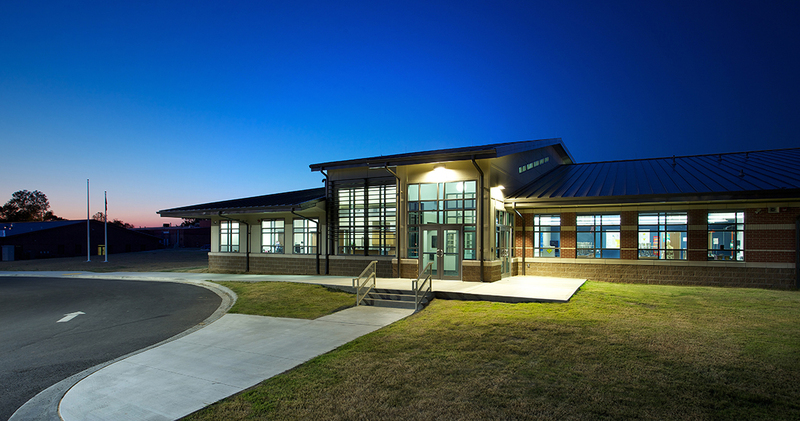 The Dean Martin Middle School building increases campus connectivity, separates parent drop off from bus drop off, provides an anchor to the campus plaza, and is designed to be an energy efficient, healthy learning environment. Natural light has been factored in to the buildings lighting system, decreasing the energy used to meet work surface foot candle requirements. All rooms are equipped with motion sensors and auto shut off switches to turn off lights when they are not in use. The primary and secondary structure of the building is Arkansas produced Lumber. The site plan presented a number of challenges. 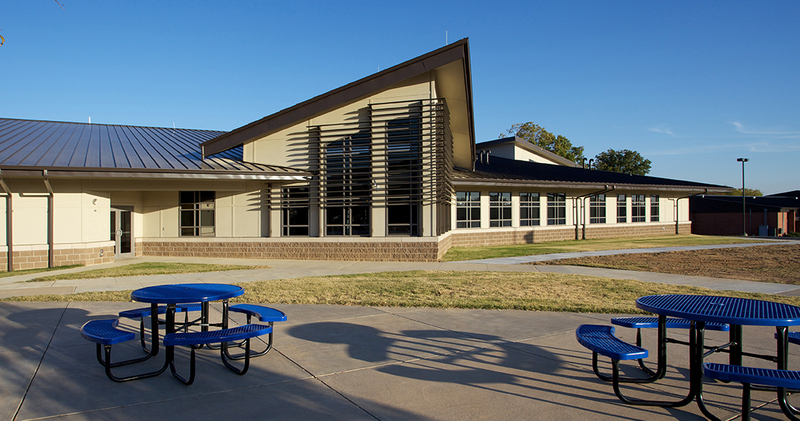 First, the new Dean Martin middle school was to replace an existing building built in the 1950’s, while taking advantage of contemporary sustainable design practices. There was a need to connect the District administration building at the northeast to the rest of the campus. 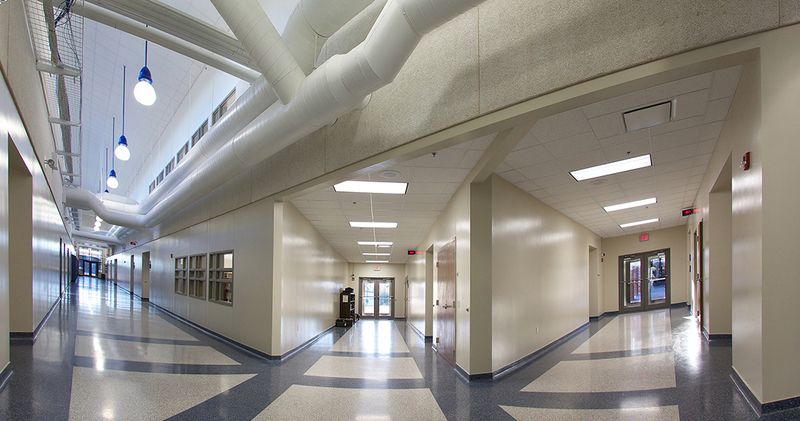 There was also a desire to form a connection between the south campus buildings with the cafeteria/band building to the west. To accommodate those goals, the building acts as a hub that provides access to the campus while establishing an anchor to the east side of the central campus plaza. 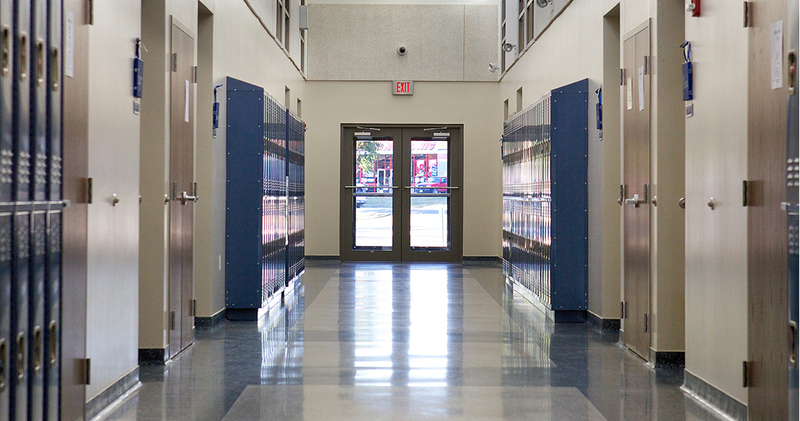 The building is organized in three “bars.”” There are two classroom wings, or “bars,” built on a double-loaded corridor with clerestories running the length of the building. Masonry up to ten-feet high gives durability and reduces maintenance. 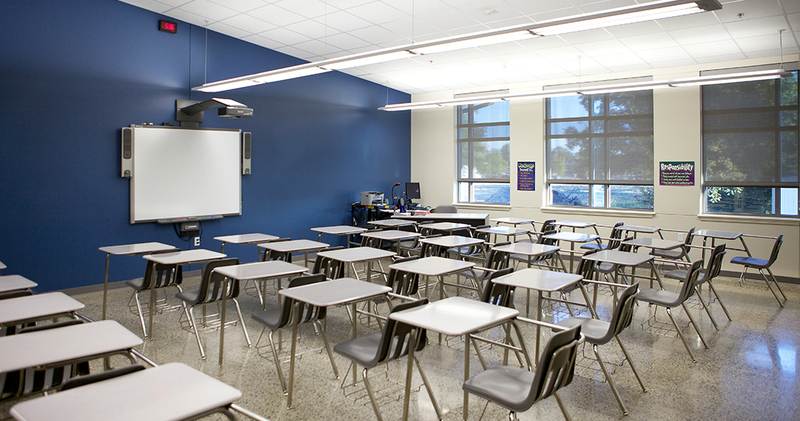 The third “bar” contains the administration and multi-class learning functions. This bar only has masonry up to the window sill height, but is clad with cementitious siding above. 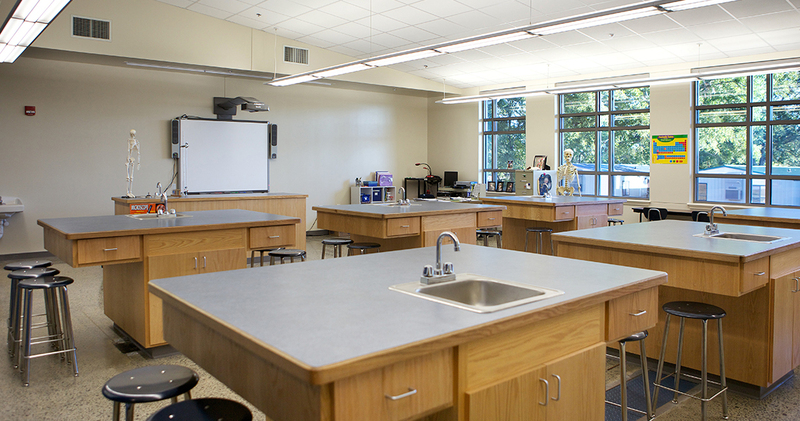 The educational spaces in the Greenbrier Middle School include twelve classrooms, four science labs, one computer lab, one multi-media center and support spaces. 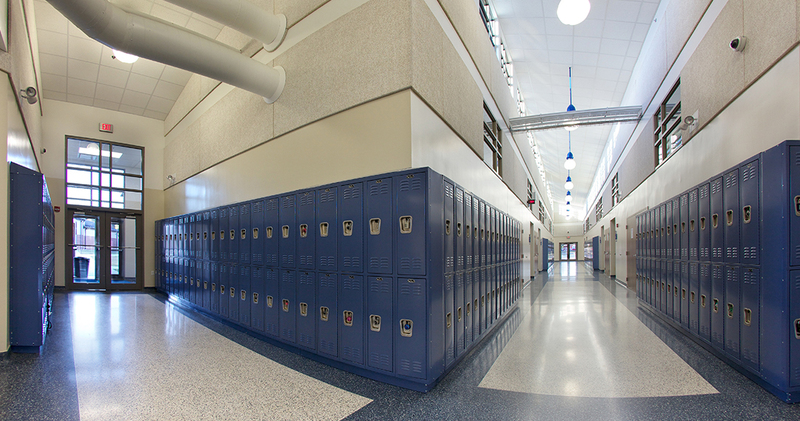 The administrative spaces include reception office, nurses’ station, principal’s office and vice principal’s office, teacher work room, a guidance suite and support spaces. 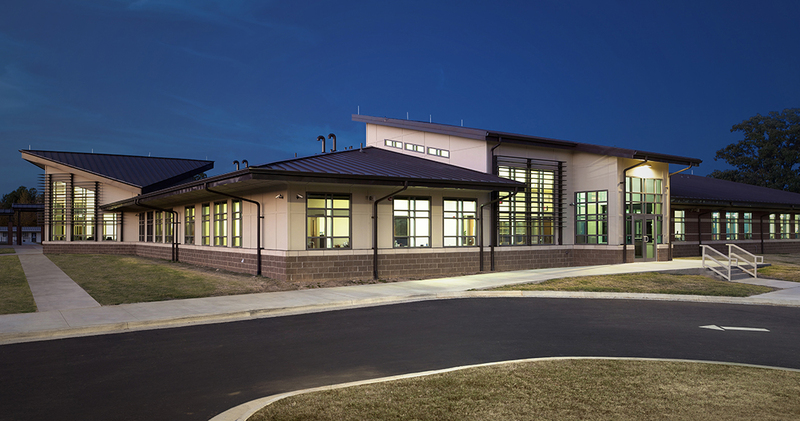 The building increases campus connectivity, separates parent drop-off from bus drop-off, and is designed to be an energy efficient, healthy learning environment. The materials used require little or no maintenance and were selected to minimize off-gassing.